The FREE concert will last approximately one hour 15 minutes. This concert is only available to school group bookings. Welsh National Opera Schools Concerts are aimed at Key Stage 2 to 3, providing children the opportunity to experience a live orchestral concert. Join BBC Radio 3 presenter, Tom Redmond, who together with the full WNO Orchestra and Chorus singers will guide you through a selection of popular favourites from the world of opera, film and TV. It’s the perfect way to introduce school children to opera and classical music. WNO Schools Concerts are designed in line with National Curriculum objectives and include free resources for teachers. 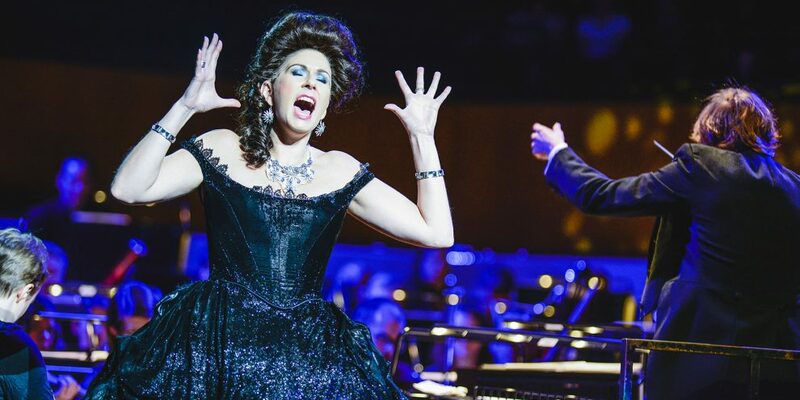 At the heart of this event will be the unique opportunity to sing The Toreador Song from Carmen, one of the most famous pieces in opera, accompanied by WNO Orchestra. This is a fun and informal concert, the ideal way to learn about classical music, sing with the Orchestra and see what goes into creating an opera. ‘Thank you so much for the wonderful concert on Tuesday at the Mayflower. Our children absolutely loved it and were singing all the way home. Overall, it was one of the best schools concerts I’ve been to, fantastic programme and wonderful performers – a really special trip!’ said a Southampton teacher following WNO Schools Concert. This concert has now sold out.